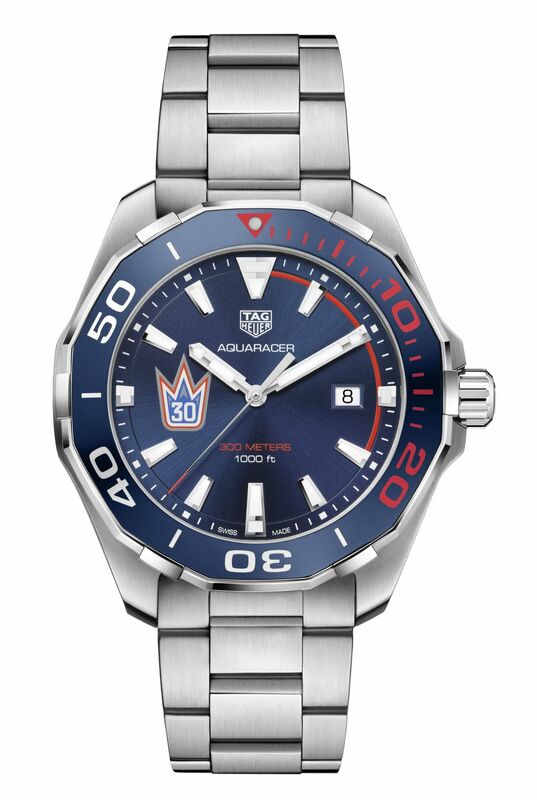 The TAG Heuer Henrik Lundqvist Aquaracer is issued as a limited edition of 205 pieces – a nod to the number of the pick in the draft when he got elected. According to the player himself, this special edition is designed “for the fan”, for people who have followed him for a while and appreciate what he does. 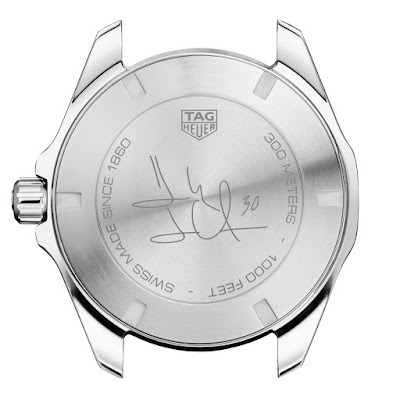 Both he and TAG Heuer wanted for this watch to have a simple, versatile design. 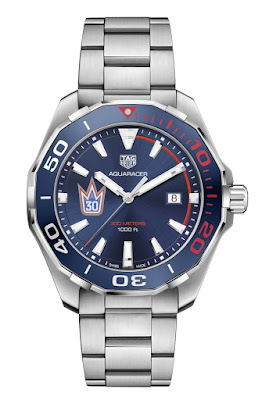 The new Henrik Lundqvist Aquaracer is housed in a 43mm brushed stainless steel case. The case is water resistant to 300 meters and features a blue aluminum unidirectional turning bezel with the 20 minutes highlighted in red. 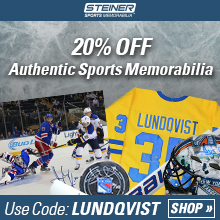 On the back of the watch there is a solid case back engraved with Henrik Lundqvist’s signature. Underneath the sapphire crystal lies a blue sunray brushed dial that displays hours, minutes, seconds and date at 3 o’clock. 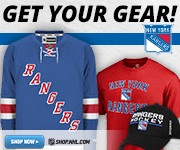 Positioned at 9 o’clock is a crown with the number 30 inside – a reference to his number in the New York Rangers. Powered by a highly-precise Swiss quartz movement, the Henrik Lundqvist Aquaracer comes on a brushed stainless steel bracelet. The watch is now available for pre-order, but only in Sweden and in USA. 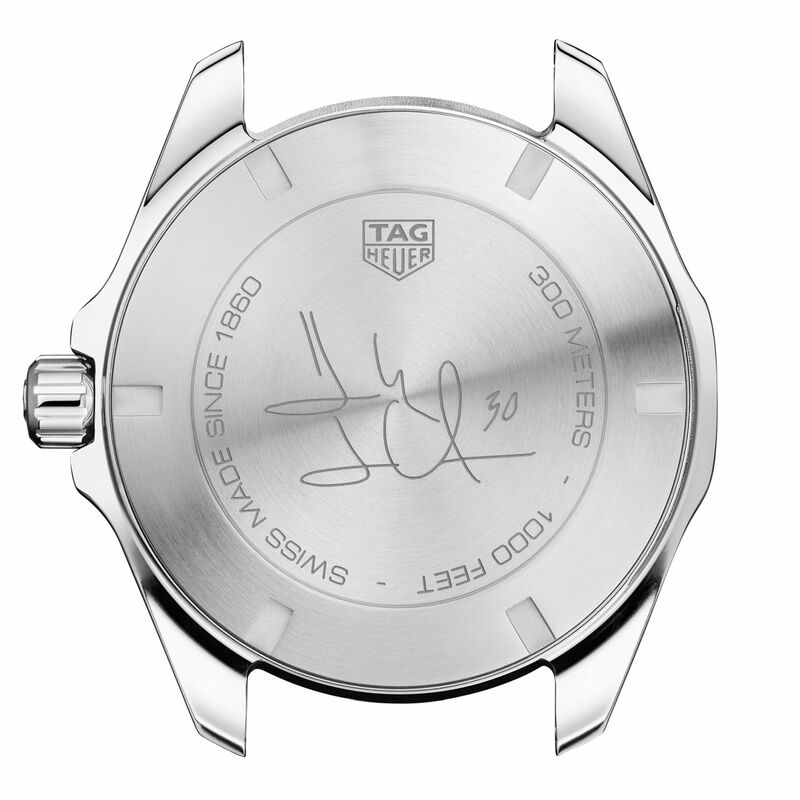 TAG Heuer has not yet announced the exact price.